“They (Jesus and Apostles) sailed to the (Gentile) region of the Gerasenes, which is across the lake from Galilee. 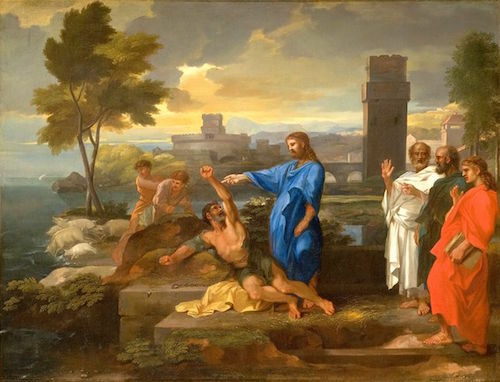 When Jesus stepped ashore, he was met by a demon-possessed man from the town. For a long time this man had not worn clothes or lived in a house, but had lived in the tombs. When he saw Jesus, he cried out and fell at his feet, shouting at the top of his voice, ‘What do you want with me, Jesus, Son of the Most High God? I beg you, don’t torture me!’ For Jesus had commanded the impure spirit to come out of the man. Many times it had seized him, and though he was chained hand and foot and kept under guard, he had broken his chains and had been driven by the demon into solitary places. Jesus asked him, ‘What is your name?’ ‘Legion,’ he replied, because many demons had gone into him. And they begged Jesus repeatedly not to order them to go into the Abyss. When those tending the pigs saw what had happened, they ran off and reported this in the town and countryside, and the people went out to see what had happened. When they came to Jesus, they found the man from whom the demons had gone out, sitting at Jesus’ feet, dressed and in his right mind; and they were afraid. 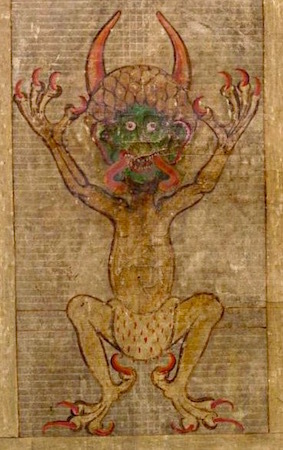 Those who had seen it told the people how the demon-possessed man had been cured. 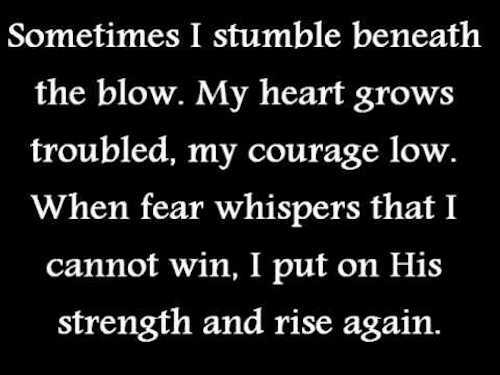 Then all the people of the region of the Gerasenes asked Jesus to leave them, because they were overcome with fear. So he got into the boat and left. 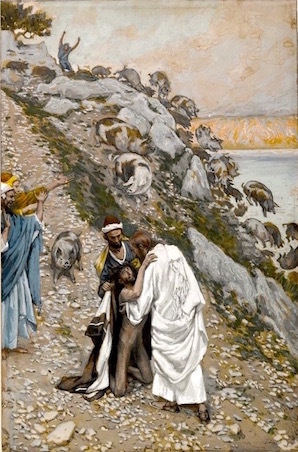 The man from whom the demons had gone out begged to go with him, but Jesus sent him away, saying, ‘Return home and tell how much God has done for you.’ So the man went away and told all over town how much Jesus had done for him.” Luke 8:26-39. Some may think the demon-possessed man from the tombs was just totally insane and demons had nothing whatsoever to do with his behavior or state of mind. The idea that demons exist and enter people is an old-fashioned explanation for irrational behavior. Most people and certainly most psychiatrists and doctors are totally on that side, so those who believe those things are probably in the majority—at least in the Western world. Some believe that women who kill all their children or the Isis warriors who cut off the heads of children and make their parents watch the deed and then cut off the parents’ heads are “really sick” and not “evil.” “Evil” is a tricky word to apply to some heinous deeds, isn’t it? Because “evil” implies there is a force of evil in the world. Some may even believe there is a force of good in our world called “God.” But an evil force, a demon, a satan, a devil—that’s a step too far. The New Testament clearly states that Jesus drove out demons from possessed people and He was tempted by the devil in the Wilderness. (Matthew 4:1-11) Those who believe the Scriptures as the Word of God believe in demons and in God. They believe there is a force of evil called satan and a force of good called God. They believe that all the evil in the world was caused by the victory of the devil over man in the Garden of Eden. 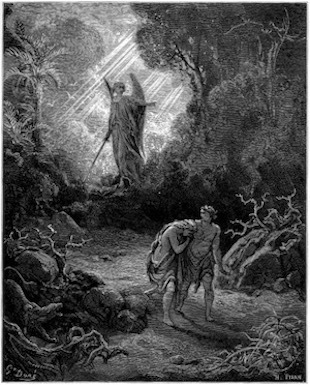 God drove them out of the Garden: “So He drove out the man; and He placed cherubim at the east of the garden of Eden, and a flaming sword which turned every way, to guard the way to the tree of life.” (Genesis 33:24) Man has a trace memory of that seminal Edenic state before The Fall and seeks it personally and collectively. 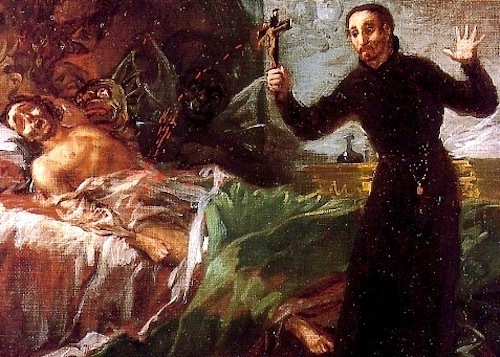 There is evidence of current belief in demonic possession in most of the Eastern world, Africa, South America and in our world where the Catholic Church has certain priests in the ministry of exorcism, the casting out of demons from people. 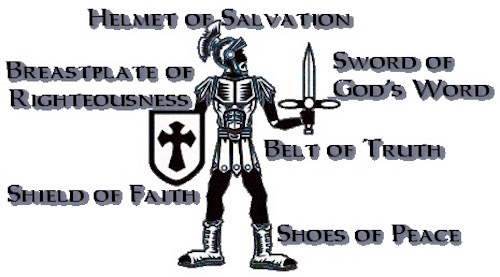 The Bible says we as Christians are soldiers in the invisible army of God, of the good, the holy, the honorable. 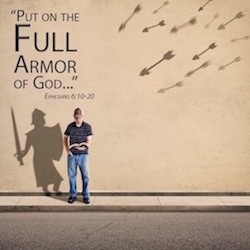 But we as soldiers in this difficult and dangerous spiritual battle have to be equipped at all times against the enemy of God, the devil and his minions. 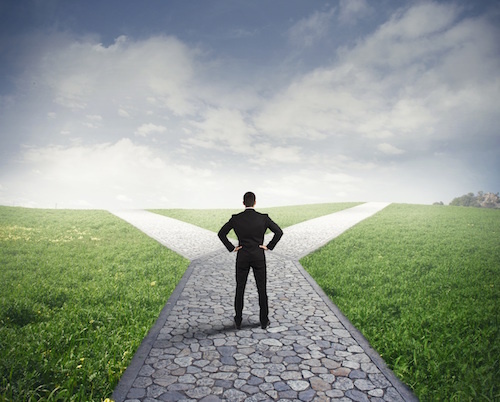 Some may not believe in a spiritual battle or evil that affects the lives of people daily or in the power of God to save and to change people’s lives and to work miracles. Some may believe life is a candle that just goes out when one dies and that this life is all a giant cosmic joke. Or people may wonder about these things—sometimes or often.